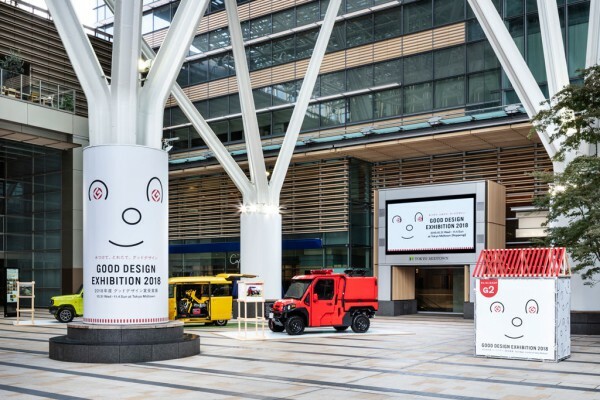 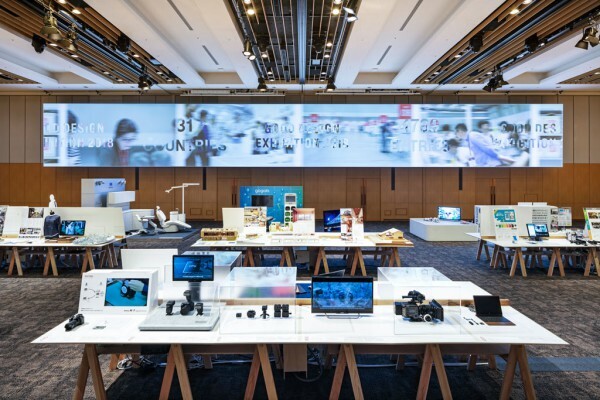 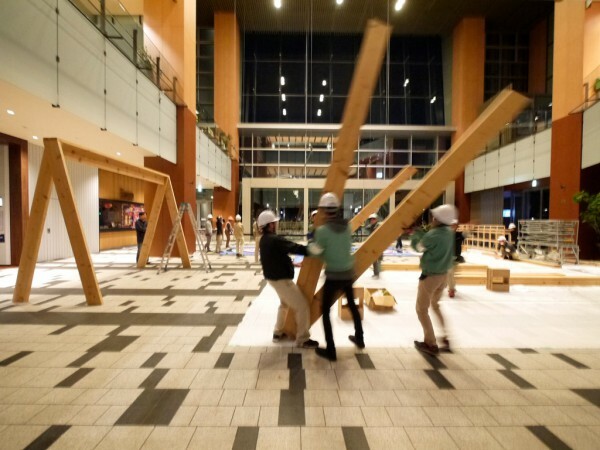 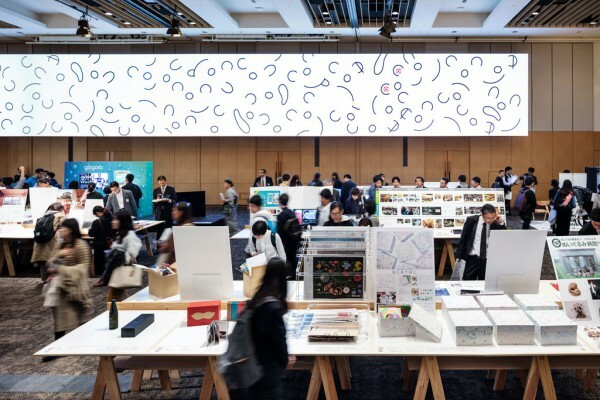 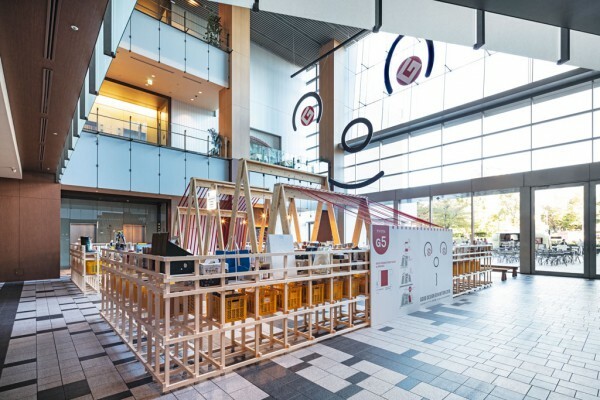 We designed the venue for the Good Design Exhibition 2018 held at Tokyo Midtown. 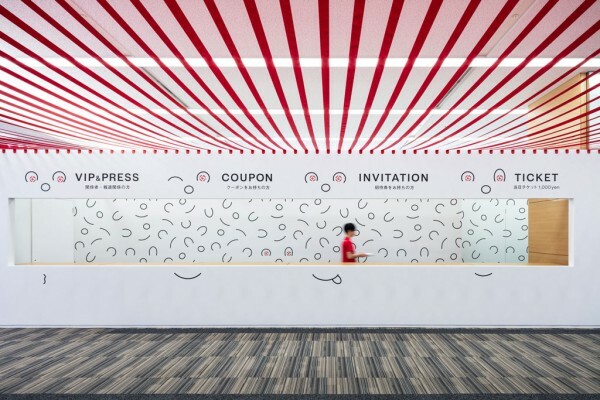 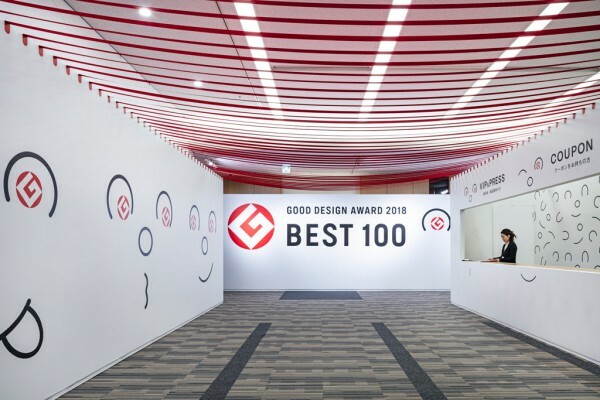 With “discover, freshly-picked, good design” as keywords, deliverables included a market-like space was where visitors could instantly pick up this year’s award-winning works. 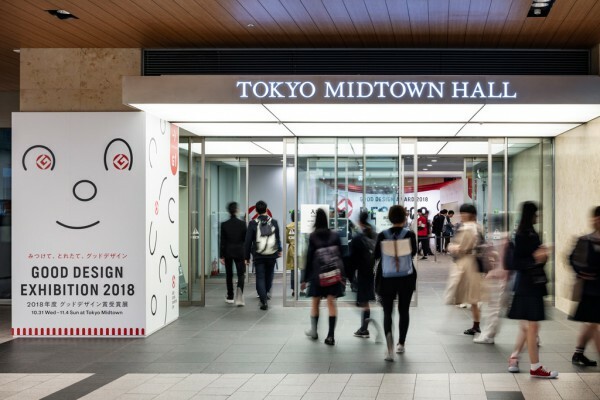 A gate of red ribbons festively greets visitors at the hall entrance of the main venue. 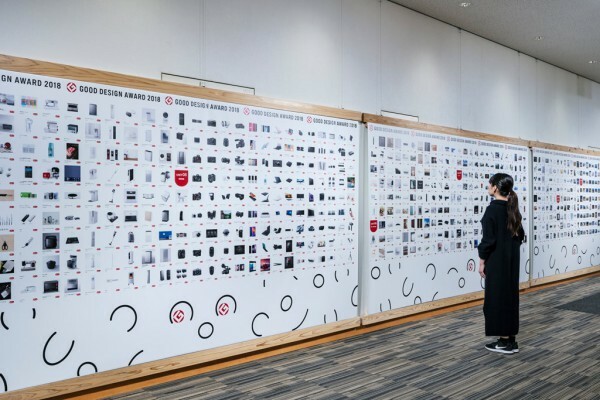 To highlight the exhibition works at the best 100 exhibition hall, we proposed a simple exhibition stand using an Ishinomaki Laboratory AA HIGH STOOL and linden plywood, and we envisioned having a large projector installed on the wall that would allow us to instantly announce to visitors the first prize winner decided on the first day of the exhibition. 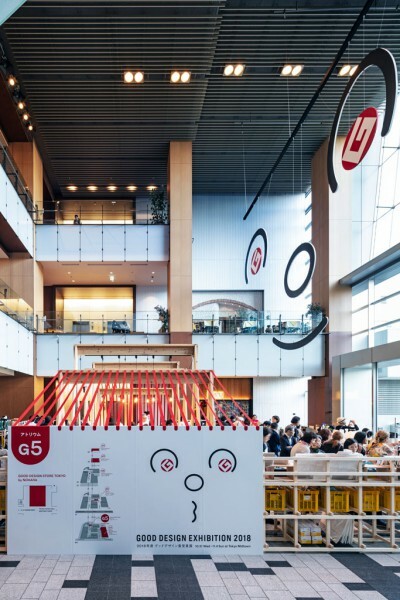 At the event space atrium, we took advantage of the height of the space by suspending in the air a large, face-shaped mobile as the main visual and, below that, a roughly 3.8-m-high giant AA STOOL and red ribbons hung from the ceiling to serve as a symbol for the venue. 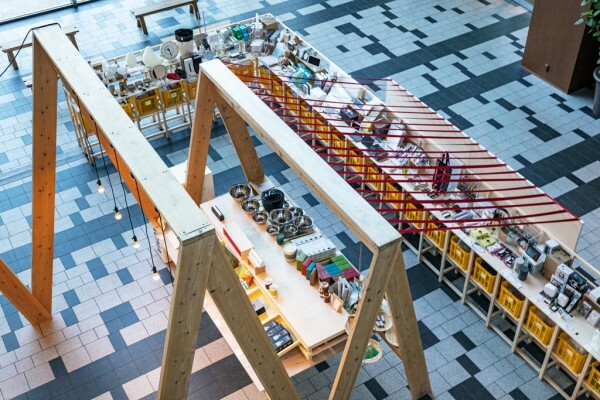 With a shelf put together in the form of latticework as a display, we produced a bustling market-like atmosphere in the surrounding area of the store. 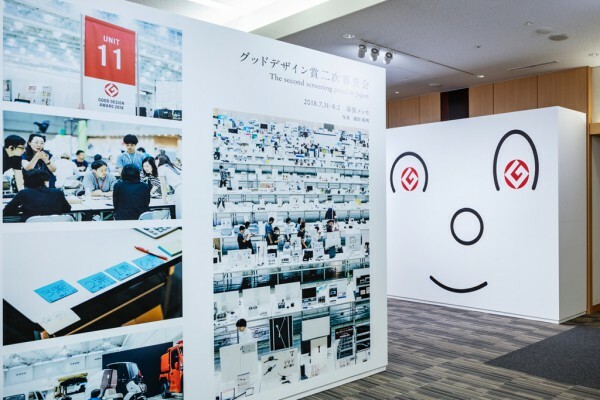 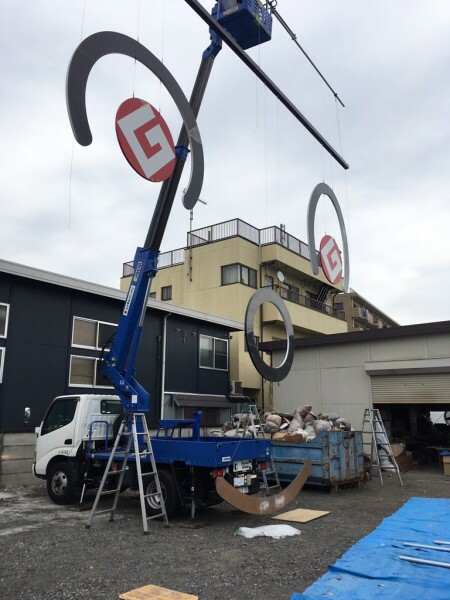 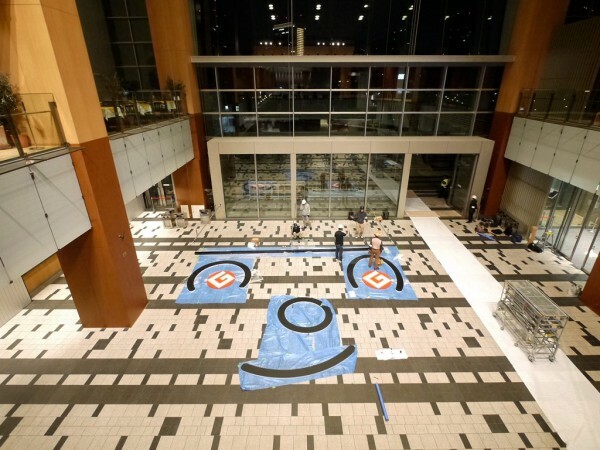 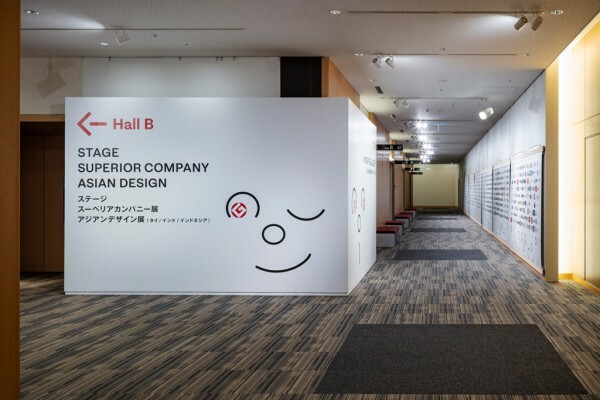 The main visual was designed by Mr. Yuma Harada, and the G marks became eyes for this visual resembling a face which expressively guides visitors within the venue. 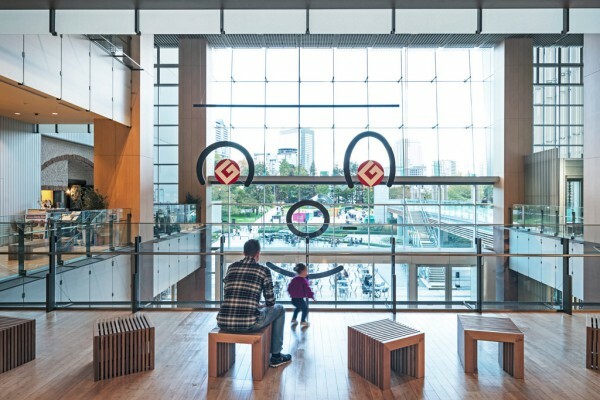 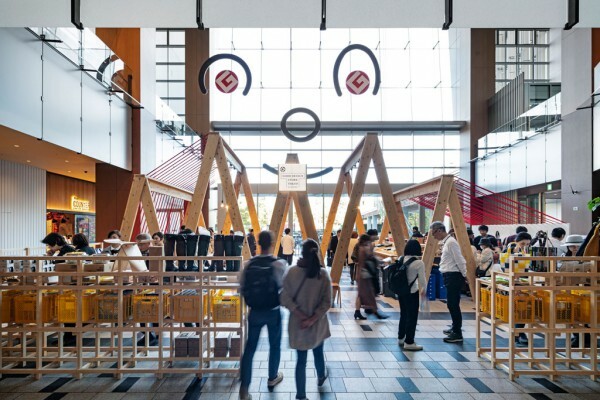 We aimed to create a space with a festive feeling like an award exhibition gala by using AA stools, red ribbons, and latticework fixtures to bring a commonality to the exhibition venues scattered throughout Tokyo Midtown, including the outdoor auto exhibition and so on.